Place saucepan over medium high heat. Add olive oil, red onion and garlic. Saute until onion softens, about 5 minutes. Add zucchini and spices. Saute until zucchini begins to cook, 5 minutes. Add chicken broth, stir and cover. 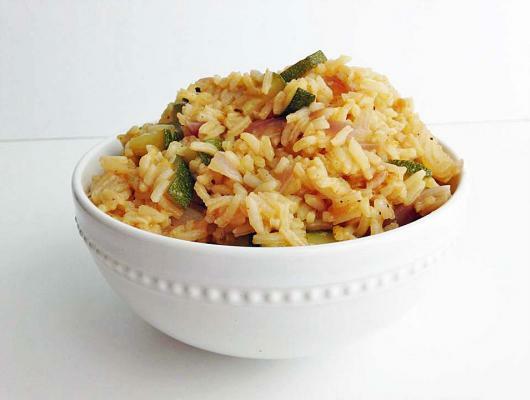 Reduce to medium low and let simmer for 20 minutes until rice is tender.